THE PICKIEST EATER IN THE WORLD: KRISPY KREME: SPECULOOS AND MONSTERS UNIVERSITY DONUTS! 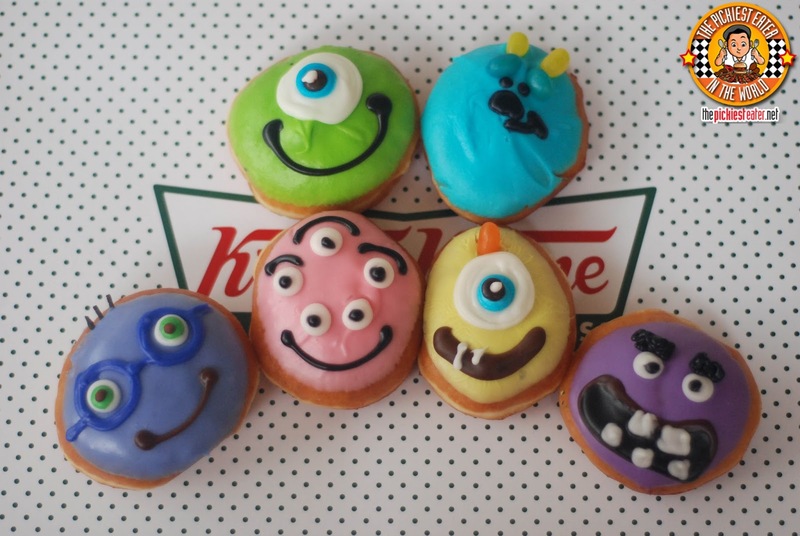 KRISPY KREME: SPECULOOS AND MONSTERS UNIVERSITY DONUTS! And just like that, Walt Disney and Pixar never fails to entertain viewers of all ages, as well as touch the hearts of people. 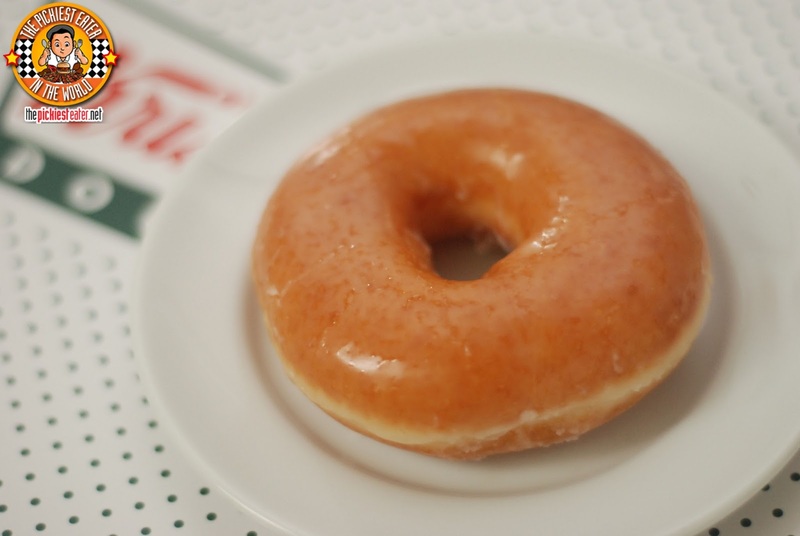 Just like how Krispy Kreme never fails to warm the dessert bellies of all ages! 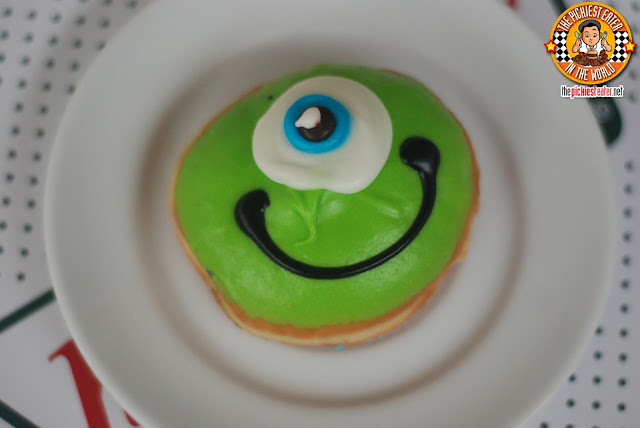 Krispy Kreme creates monster doughnuts in time for the prequel that shows how it all started, Monsters University! 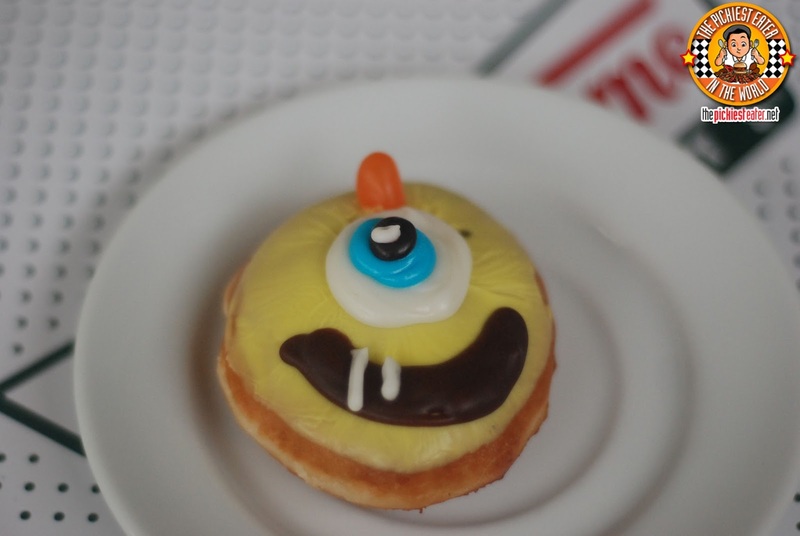 Check out these cute mini monster doughnuts! Don't they look adorable? And yummy too! 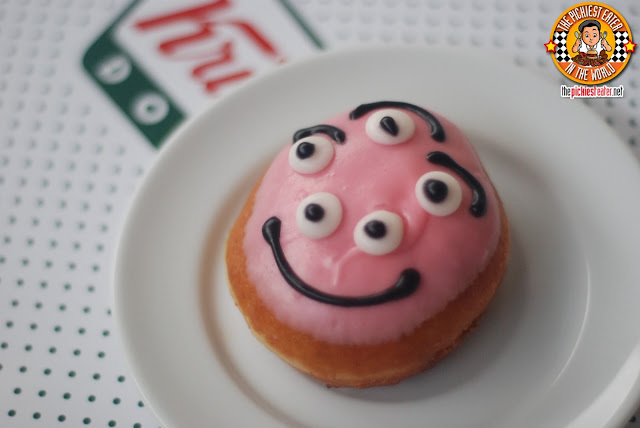 These doughnuts are primarily frosted with vanilla or chocolate icings, some have jellybeans to form parts of the faces, and some sugar-coated candies. 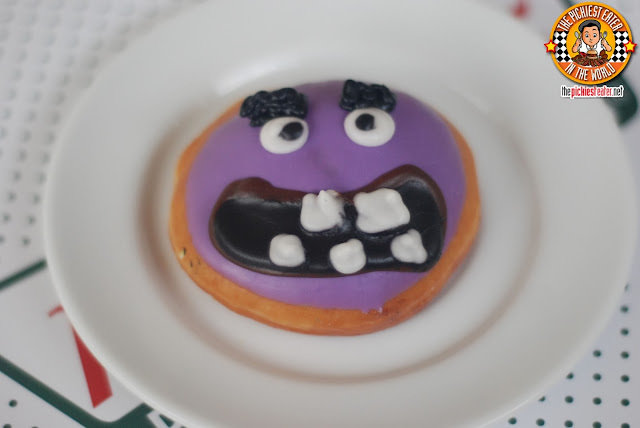 (No cream filling). 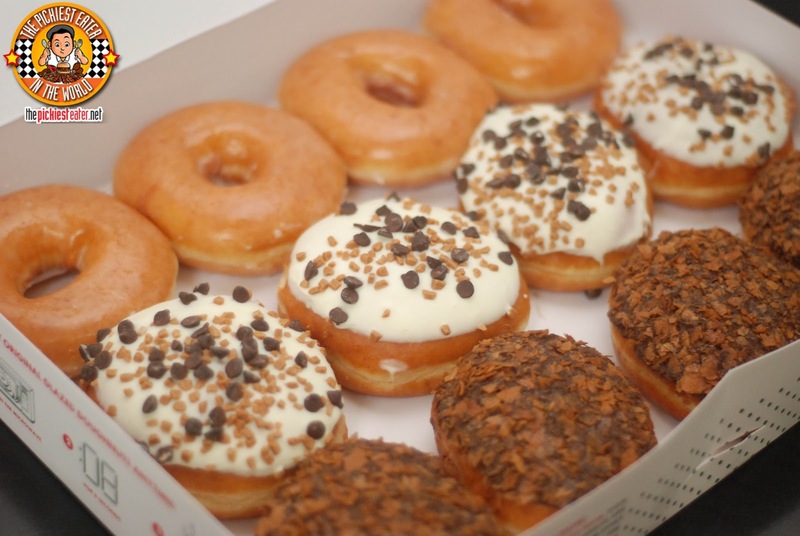 They’re small but really hits the spot when that sweet tooth of yours start acting up again hehehe. 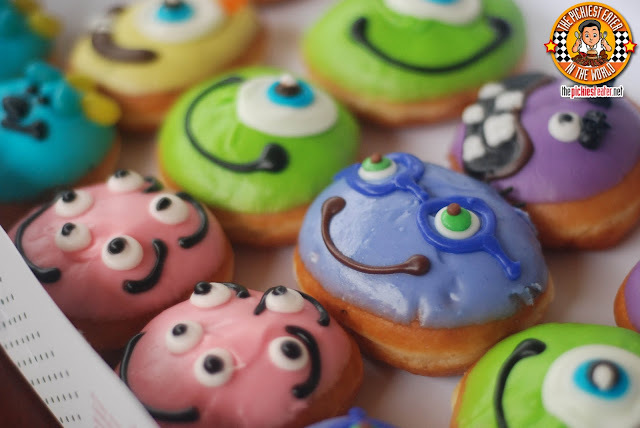 They also actually have Monsters University Chillers that could go with these little monster doughnuts. There’s Randy Berry Cheesecake, Mike Sour Kiwi, Sulley Sour Lychee, and Terry & Terri Orange Punch. It all sounds good! These are all lemonades, and a punch, and some wild fruits to add more oomph! 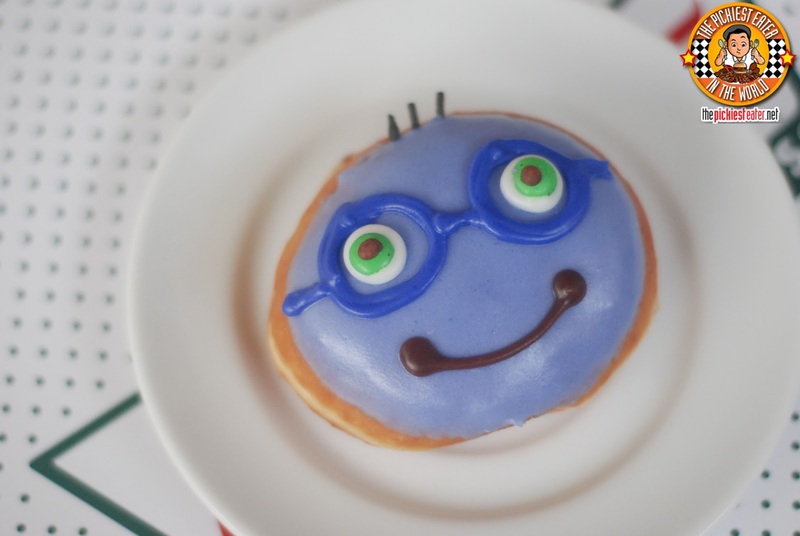 These Monster University goodies will only be around until end of July. So if you want to get a taste of these “scary” babies, head on to your nearest Krispy Kreme like NOW! 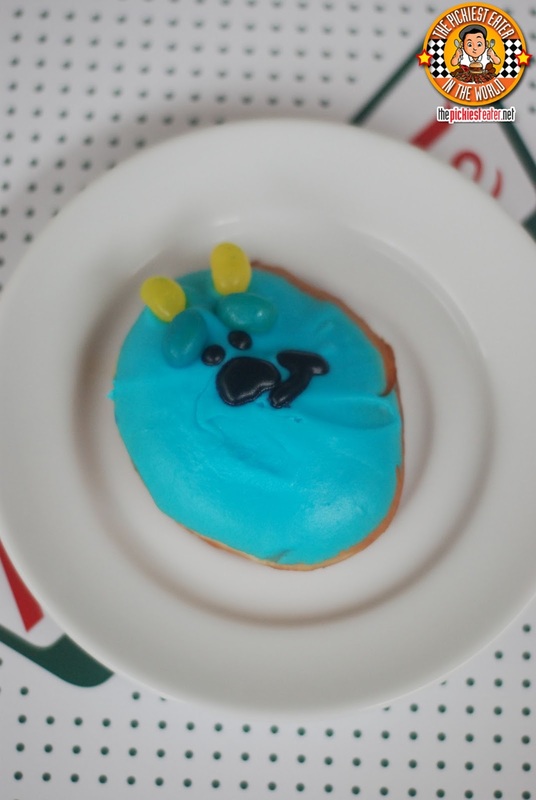 You can also bring some to the theaters and chow on them while you watch Monsters University! 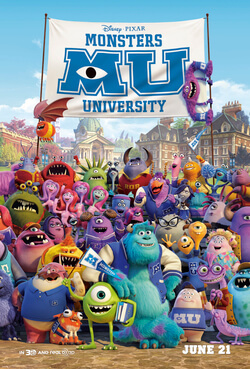 Out in theaters now! I can’t wait to watch it! 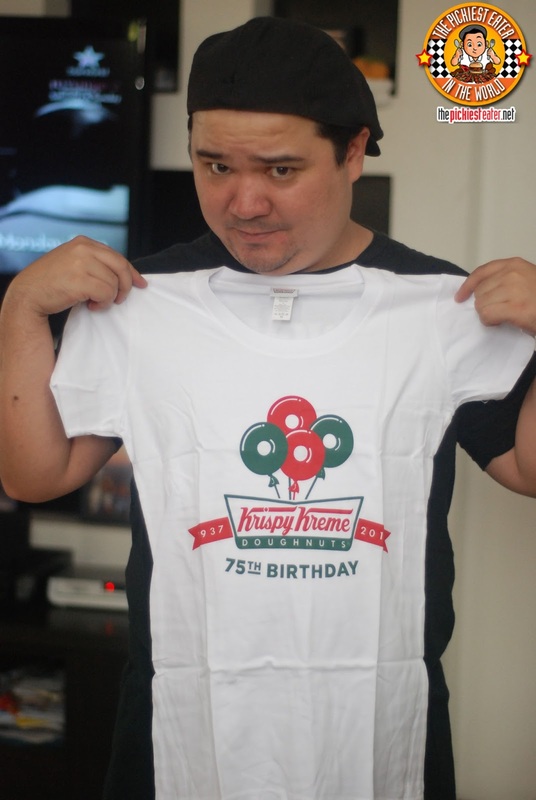 Krispy Kreme also gave Richie a special gift! A tin can with a very nice Krispy Kreme shirt! In the meanwhile, somewhere during the start of the year I think... the world was dominated with the wonder that is cookie butter. How brilliant is this idea? Shelves of Trader Joe’s are often empty due to the Filipino’s hoarding of this brilliant spread. Spread it on a shoe and the shoe would taste awesome. Krispy Kreme has done it again by making two versions of a cookie butter doughnut created for Father’s Day. Also available until July 31. 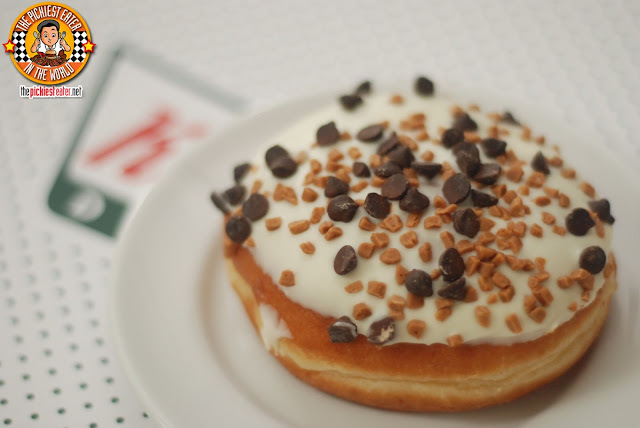 The Vanilla Cookie Butter is dipped in white chocolate, the sprinkled with Belgian Dark Chocolate Chips and caramel crunch. On the other side of the moon is the Dark Chocolate Vanilla Cookie Butter. 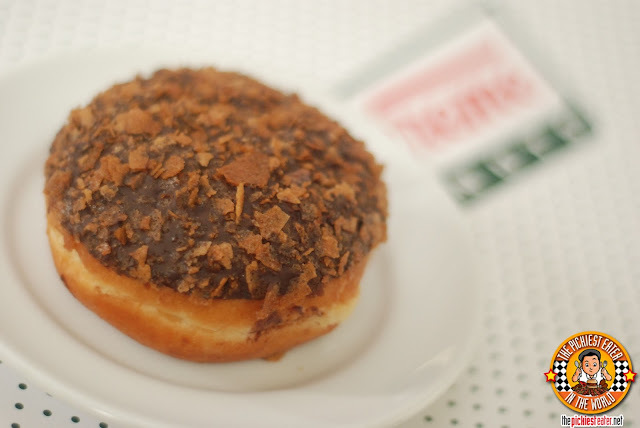 Dipped in dark chocolate coating and then sprinkled with thin shaves of French Biscuit which I think adds a subtle crunch in every bite! This one’s my favorite because I love dark chocolate! But both are fantastic! 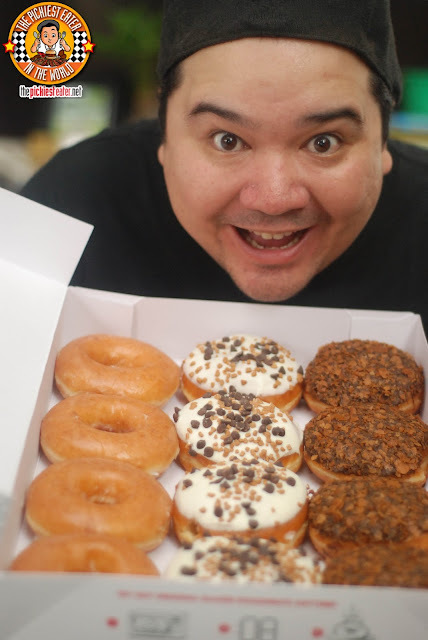 This was great news for Richie, because his attempt to find the Cookie Butter donut being offered by another Donut brand always ends in his frustration because he always gets told that it's only available in certain branches ("Why!? ", he always says). 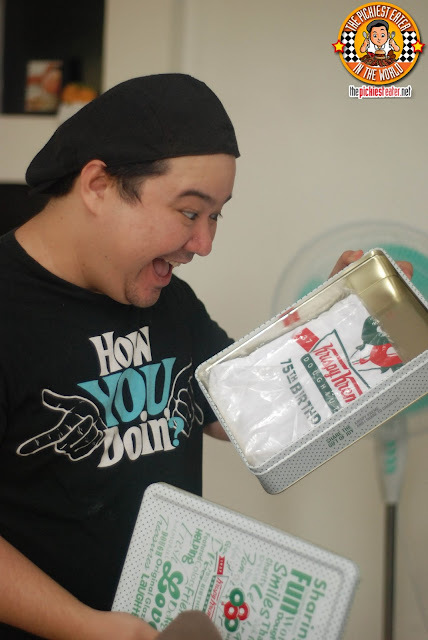 He walked over to the small Krispy Kreme Stall in Greenbelt (Not store, mind you) and there were Speculoos donuts readily available! Again, all of these fancy doughnuts are only available until the end of July. So when they’re gone, it’s going to be sad but we’re not really left crying because truthfully, our (Richie and I) original favorite will always be the original glazed! Yum! Thank You Krispy Kreme Philippines! 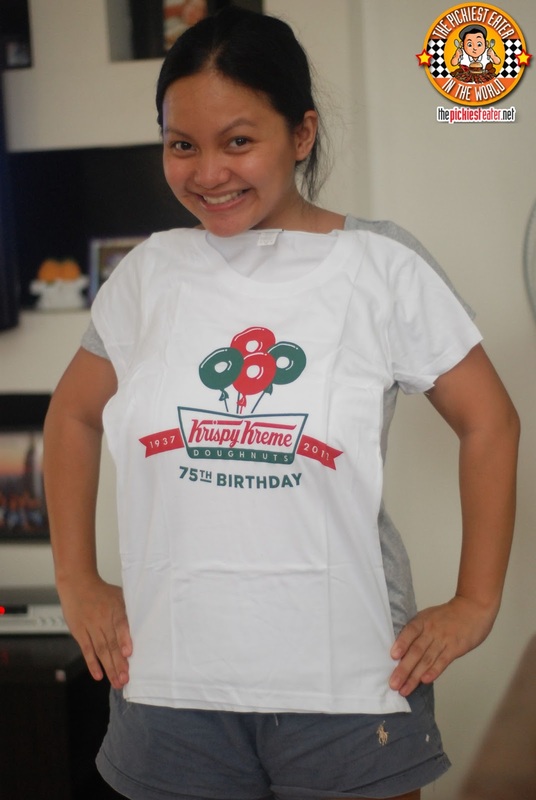 Follow Krispy Kreme Philippines on Facebook! SHAWARMA GUYS AT THE FORT STRIP! THE WINNERS OF THE TGI FRIDAYS GUESSING GAME! TGIFRIDAYS "GUESS THE DISH" POPUP GC GIVEAWAY!